Share the post "Grocery Tips: Put Cashews on the Family Shopping List"
Family shopping isn’t complete unless you’ve added cashews to the menu. It will surprise you how good these little guys are for you and how much food nutrition gets packed into a small portion. This is an all natural snack option to prepackaged, chemically treated food. Cashews also provide numerous health benefits you might not be aware of. We’ll tell you why this healthy food should be on the family grocery list every time, and why it’s a great for your diet. Cashews are a great source of antioxidants, amino acids, alkyl phenols, good fats, Vitamin B6 and dietary minerals such as magnesium, calcium and copper. 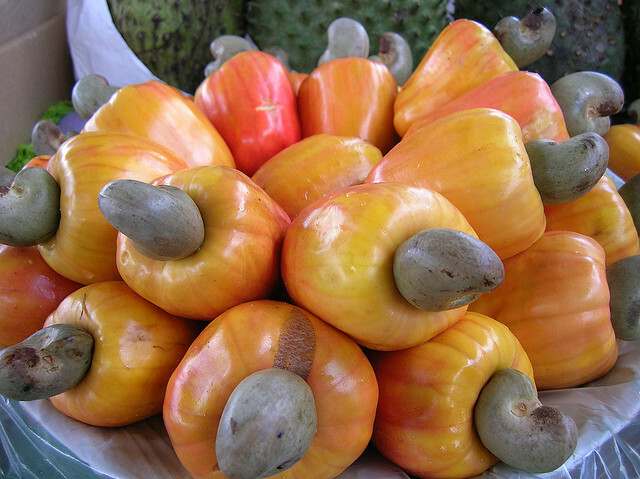 Cashews, unlike other oily tree nuts, contain starch that is equal to 10% of their weight. This means they have fewer carbohydrates than other nuts. This makes them a low carbohydrate alternative to other snacks. This is great for moms and dads who are watching their weight and great for kids. 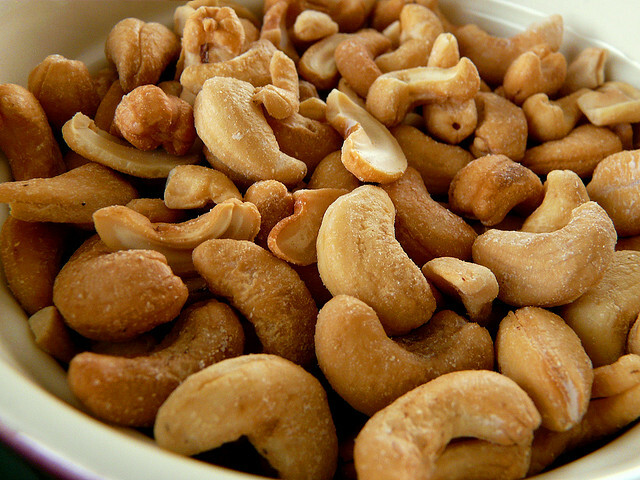 Instead of graham crackers or high sugar / high fructose gummies, try cashews. Cashews can help you lose weight because they contain good fats and good cholesterol. When your body has good fats, it burns them first when you exercise. It also makes your body burn the fats more quickly and convert proteins into muscle production. Cashews also have a lot of important dietary minerals that can help you look better. Copper, calcium and magnesium work to make healthier gums, teeth and hair. The copper in cashews naturally makes hair shiny and vibrant. The magnesium and calcium keep the gums pink and teeth white. The antioxidants and amino acids work together to fight disease and prevent cancer. Just 1 cup of cashews a day can make a tremendous difference in your family’s health and well being. You can easily turn cashews into a yummy treat. Buy a bag of cashews (not salted) at any grocery store. Also pick up honey, sesame seeds, granola, and berries. Drizzle honey over the cashews, sprinkle sesame seeds over them and voila, a yummy treat. You can also put cashews in your granola or make your own trail mix. Put cashews, granola, and berries in a bowl together and mix. Either add milk for cereal or store in a container as trail mix. If your family prefers salty treats, buy a bag of salted cashews and enjoy a healthy alternative to chips, pretzels and other salty snacks.